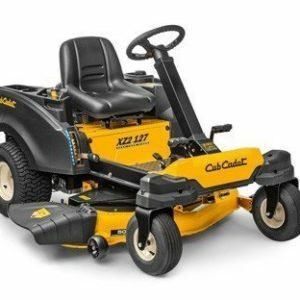 The Cub Cadet XZ2 107 has a steering wheel so it’s easy to operate and control. The XZ2 107 delivers true zero-turn manoeuvrability with steering wheel control over all four wheels you get unmatched stability on steep and diverse terrain – and anywhere else. 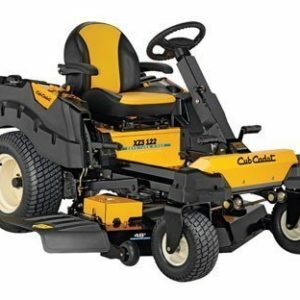 The dedicated dual hydrostatic rear-wheel transmission delivers effortless zero-turn control, synchronized with the steering to reduce turf damage which means that you can expect superior performance and an enviable lawn. Call Or Email With Any Questions! Cutting Wifth: 107cm / 42"
We are one of Cork's leading forestry & garden maintenance equipment providers & Munsters #1 Berg Toys Dealer. Come take a look at our showroom in Ballycurreen, Frankfield. Delivery To Cork, Dublin, Kildare, Donegal, Wexford, Galway & All Of Ireland! !